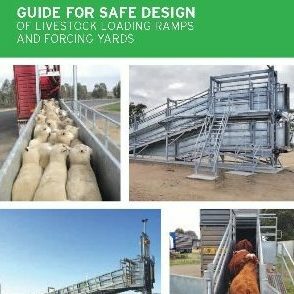 Recently the Australian Livestock and Rural Transporters Association (ALRTA) put out the Guide for Safe Design of Livestock Loading Ramps and Forcing Yards. This free and voluntary guide aims to promote safer workplaces for the industry – something we wholeheartedly support – as well as aiming to improve animal welfare outcomes. The guide was produced with input from the industry and stakeholders and provides a summary for potential hazards, as well as practice examples to control risks. It covers designs for cattle, sheep, pigs, lambs, goats and calves and covers the critical control points during the loading and unloading process. If you are interested in learning more, you can view the guide here.